The BIONIC series is our line of sport performance bracing products, protecting athletes against lateral forces that can threaten an unstable or recovering joint. Featuring bilateral polycentric hinges and stays that help to fully stabilize the joints and muscles, BIONIC products restrict damaging movements and absorb impact energy, while offering a responsive and natural feel. 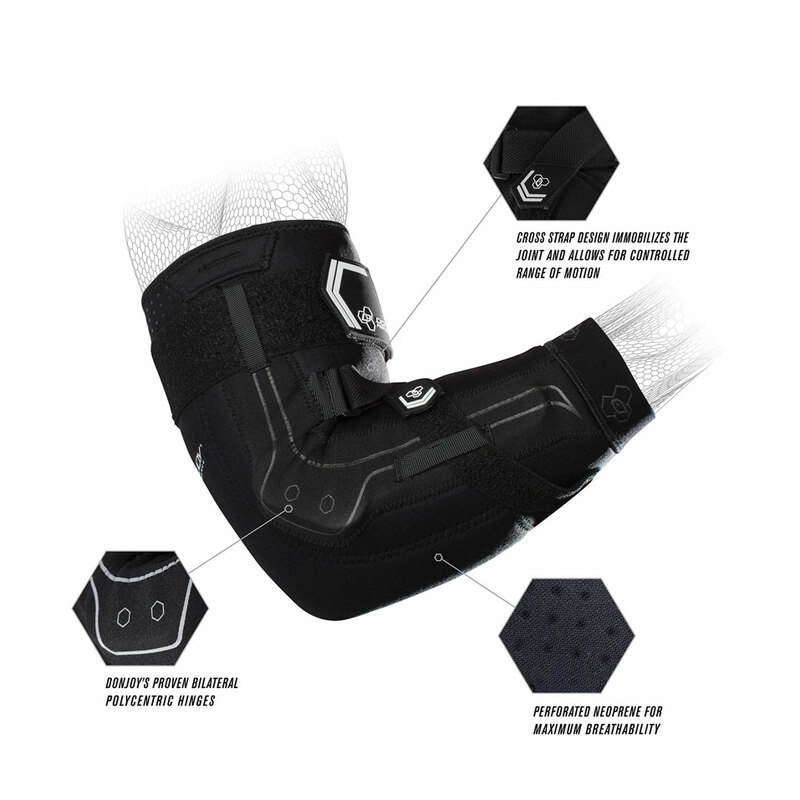 Bionic Elbow’s bilateral polycentric hinges stabilize the elbow against medial/lateral forces and maximize protection against future ligament injuries. Ergonomic design and perforated neoprene make it easy to apply and comfortable to wear while exercising or performing. Now available in Black or Camo color ways. My son has this brace. He had ulnar nerve surgery in June and wears this brace for protection. Is there someway he can prevent slippage of the brace during games? I don’t believe its due to wrong size, but due to sweating. I had an elbow dislocation and I am seeking an elbow bracing to go back lifting after therapies, is this good for me? 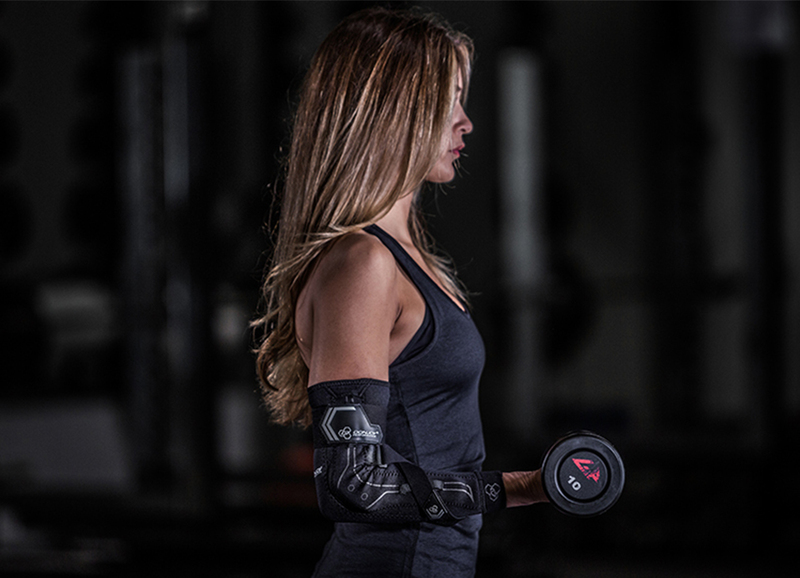 Try our new Bionic Elbow II.